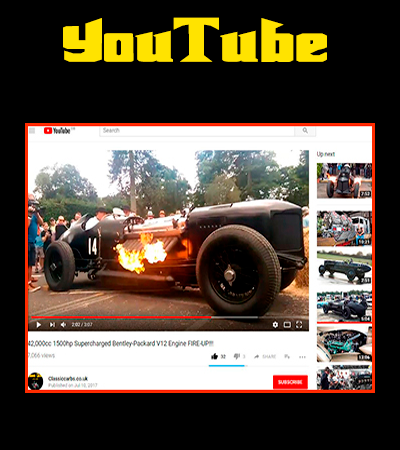 Over the years, we have built an extensive network of WEBER Carburettor connoisseurs, so contact us if you would like us to try and source something for you. 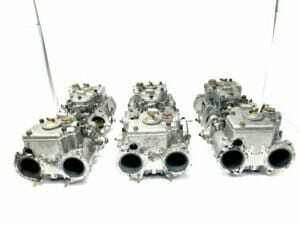 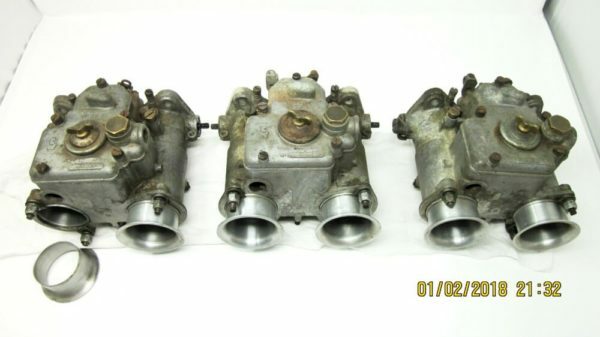 Triple set WEBER 45 DCOE 13 Carburettors. 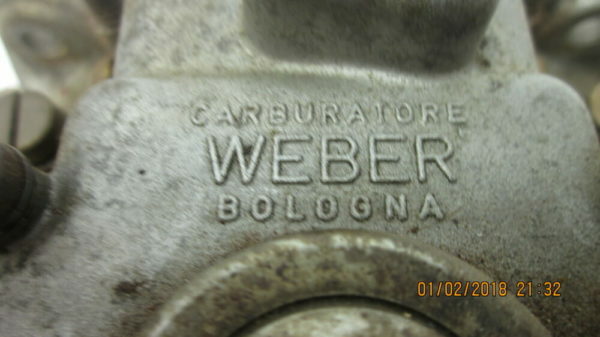 Matched set, Made in Italy. 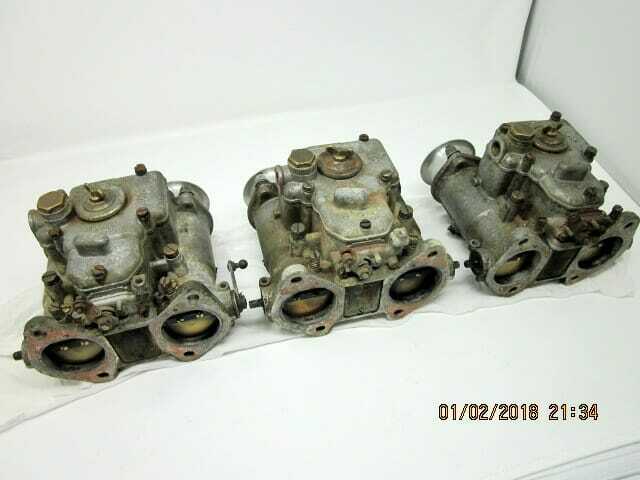 They are in need of full rebuild, throttle levers, top cover screws, and 1x trumpet. 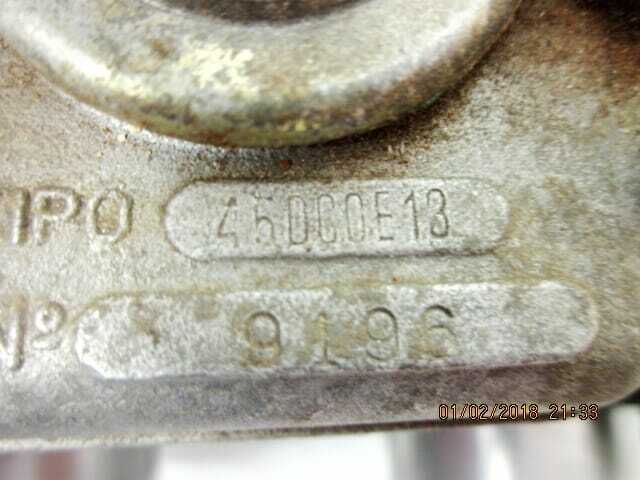 As you can see in the photo, 1x trumpet is not attached anymore… it has broken, so it will need replacing. 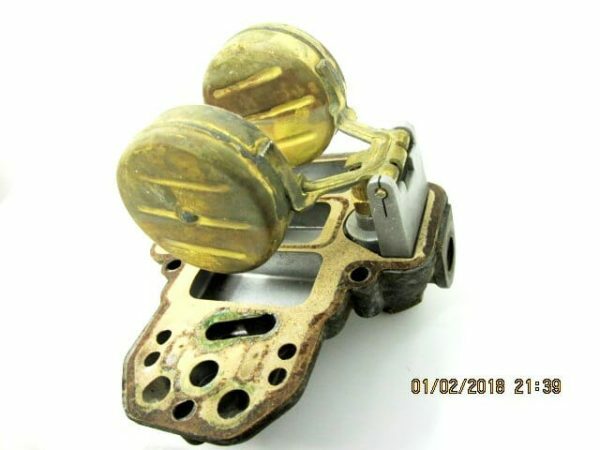 Also, there is only 1x throttle lever present, the other x2 are missing. All spindles and threads are intact. 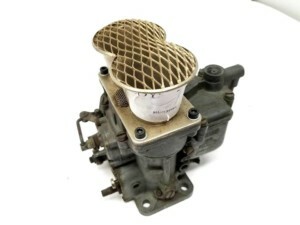 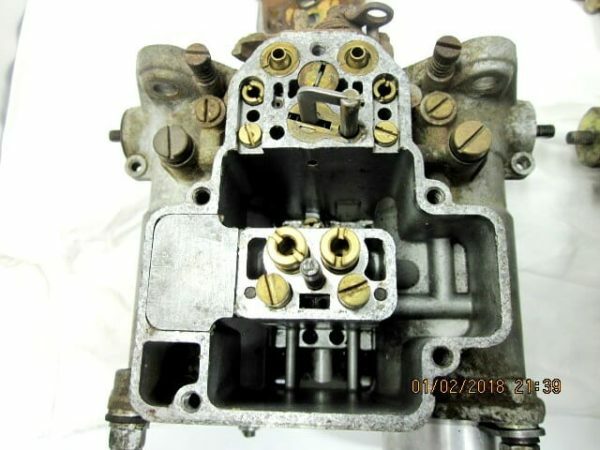 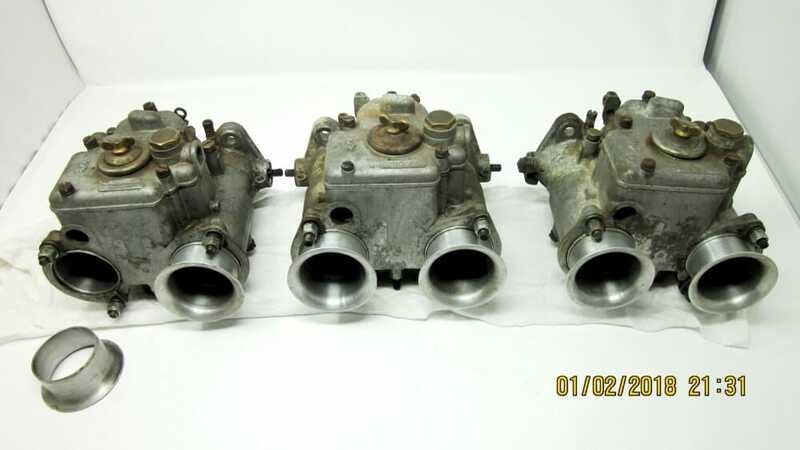 Carburettors are fully jetted for a 4.2Ltr Jaguar XK Engine. 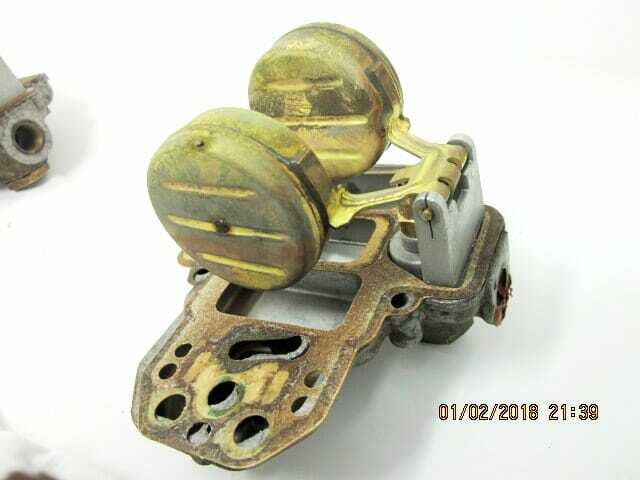 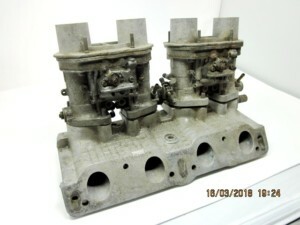 The good points of this set is that they are damage-free, Italian Made, matching castings. 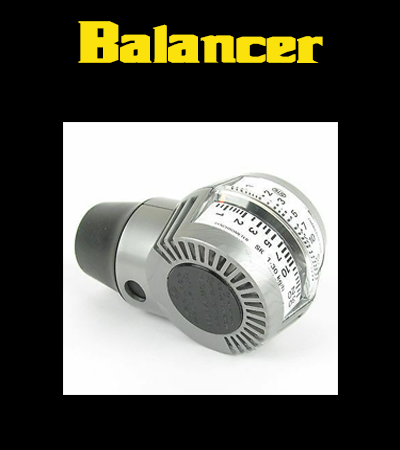 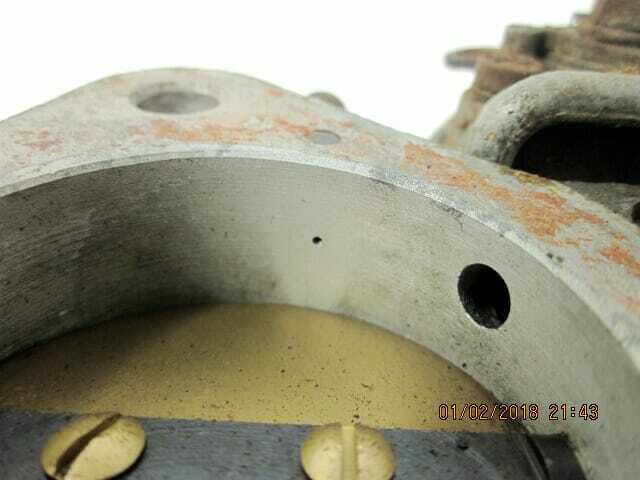 All idle-screw bore-holes are intact and damage-free (No over-tightening damage). 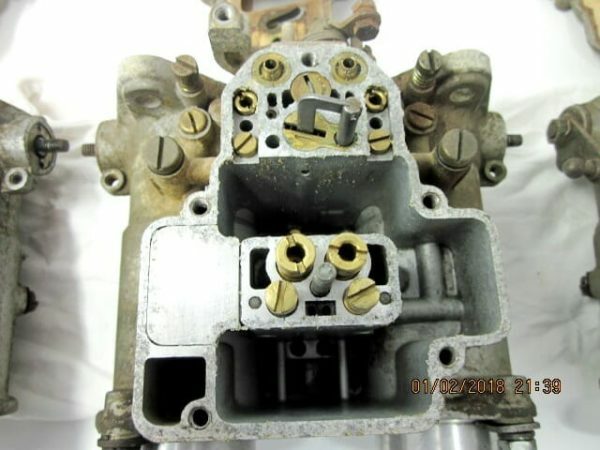 All float fulcrum pin towers are intact and original, as are the brass floats. 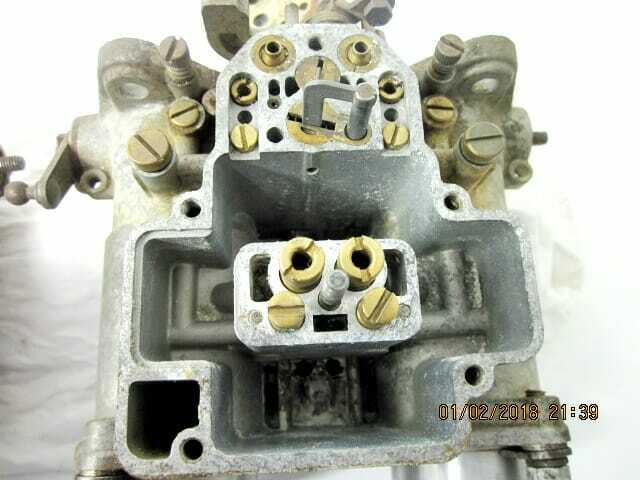 Throttle valves and spindles open and close beautifully. 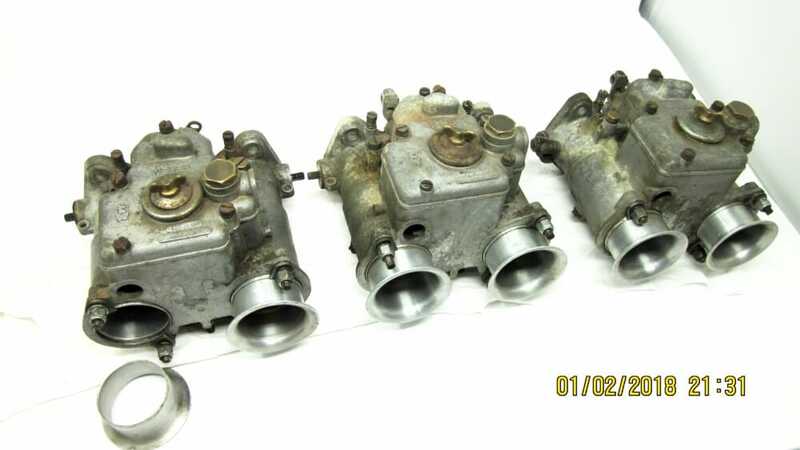 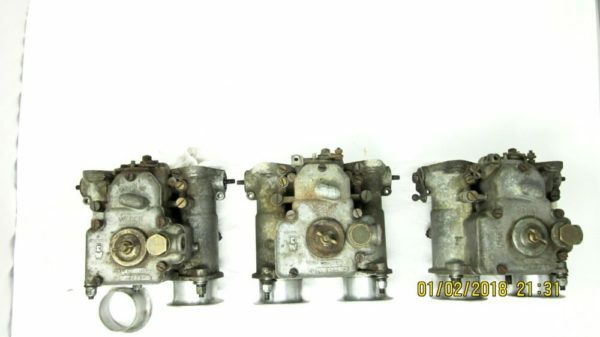 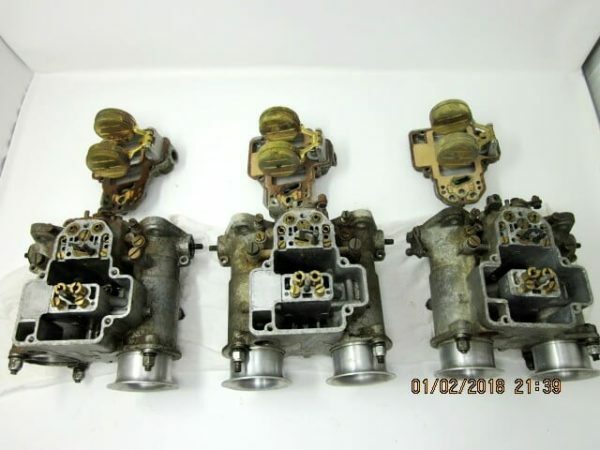 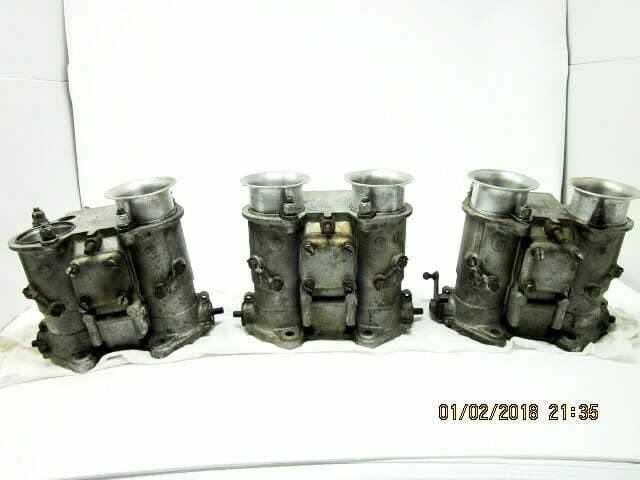 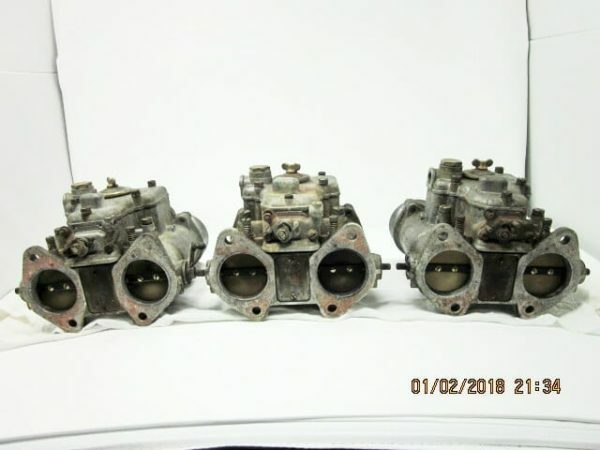 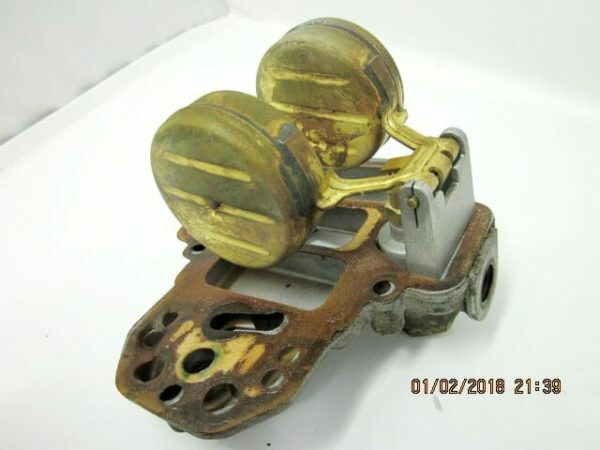 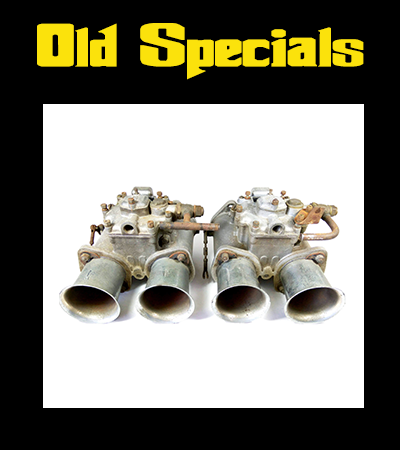 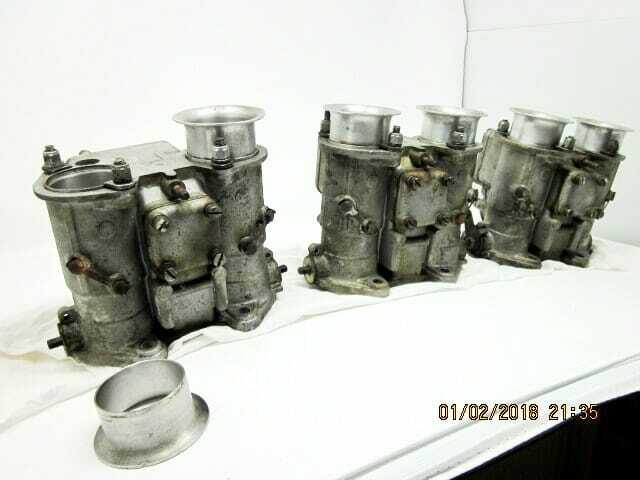 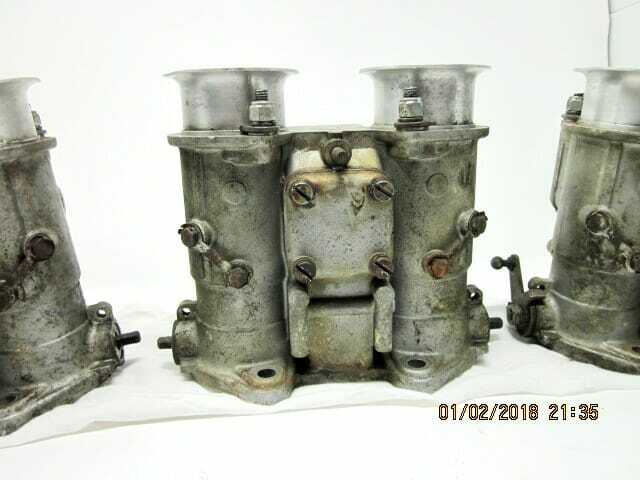 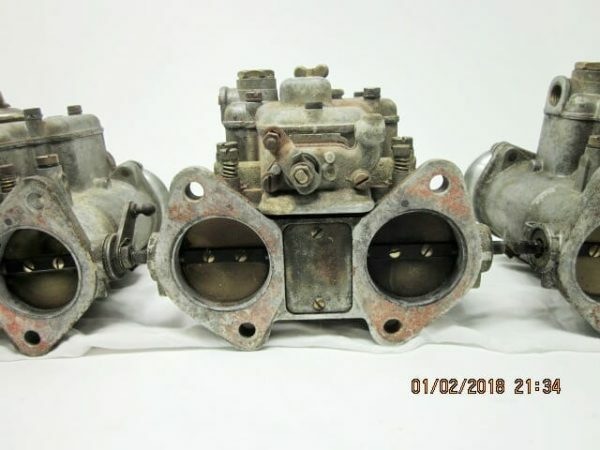 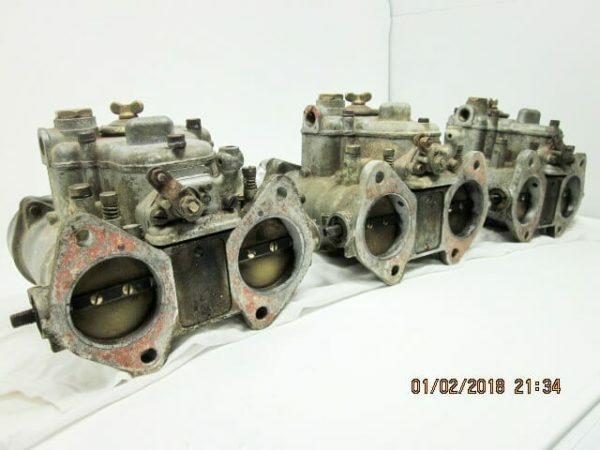 This triple set of WEBER 45 DCOE 13 Carburettors is offer here for restoration purposes only! They do need work, but if you’re after Italian 45s for your 6cyl engine.. 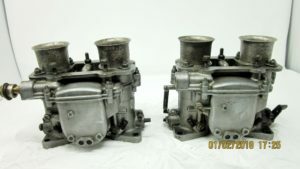 These are a good candidate.. 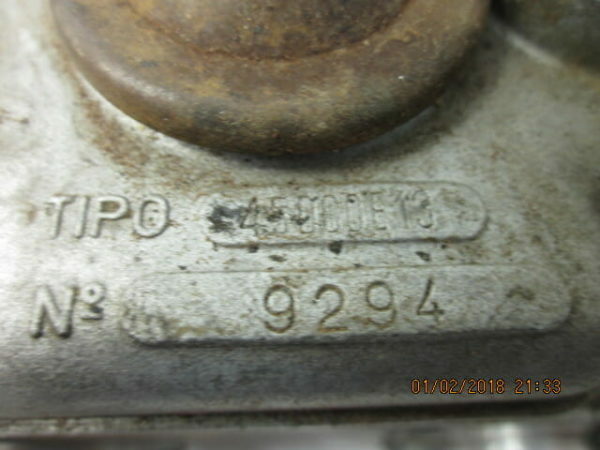 I will ship Worldwide with DPD or UPS, all tracked & Insured services. 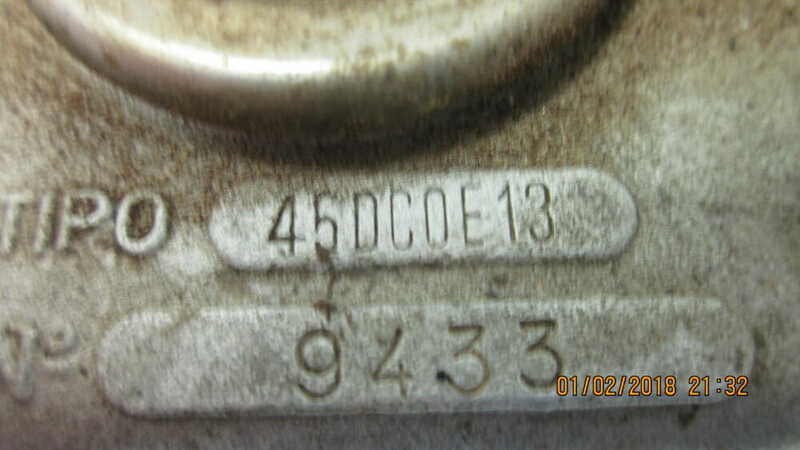 DCOE Jets. Chokes, Valves etc.